"Profitable sheep for all areas"
Steve and Lisa Harrison purchased the Bindawarra Merino Stud from Murray and Janet Toland in 2011 and relocated the stud from Cobungra to the Gippsland coastal plains south of Sale. Murray has continued as stud consultant. 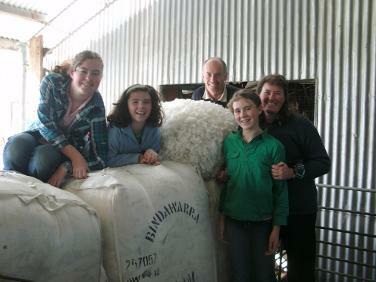 Steve and Lisa have three daughters, Emily, Megan and Brooke who are active in various roles within the stud. 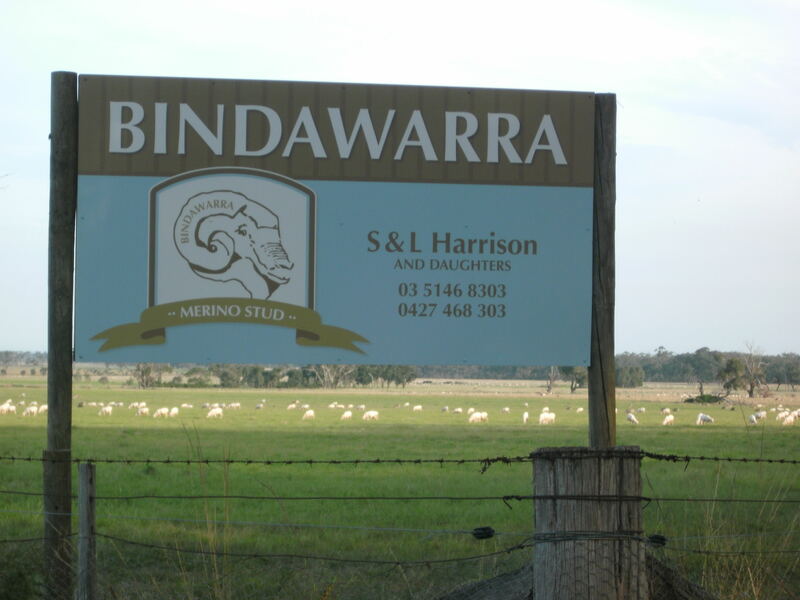 Bindawarra Merino Stud celebrated it's 50th anniversary in 2013. The stud was established in 1963 by Gordon Toland at Omeo with the assistance of Murray Elliott. Gordon's sons, Murray and Phil worked together to develop Bindawarra before Phil relocated to North East Victoria to develop his Toland Merino Stud. Murray remained at Cobungra with Bindawarra for the next 20 years until the Harrison family purchased the stud in 2011 and relocated it to Giffard West. 2014 - Champion Superfine Fleece Australian Sheep & Wool Show, 2nd Place Royal Melbourne Show, Most Valuable Fleece at the Sale, Bairnsdale and Yarram Shows, Most Stylish Fleece at the Sale & Bairnsdale Shows. Bindawarra wethers consistently perform well at local wether trials. In the recent 2012 - 2014 Gippsland SheepBreeders Association wether trial, our commercial wethers took out overall first place with an average wool cut of 7.9kg and an average micron of 18.5. Bindawarra 400 has been ranked 1st in two categories (Fibre Production (FP+) and Merino Production (MP+) indexes) of the Merino Superior Sires Evaluation Index for 2014 and ranked 3rd in the dual purpose index. We are extremely proud and happy with these results. If you would like further information, please see their website www.merinosuperiorsires.com.au or contact us for further details about this superior ram. Full ASBV's are available for both Bindawarra 400 and Bindawarra 358. Bindawarra 400 still has progeny used in the stud, with this family being a very strong contributor to our success. Bindawarra 358 is performing very well in the Balmoral Sire Evaluation Trials.